Looking to learn about the next chapter of Jira Software Server and Data Center? Find out how Jira's speedy new engine powers greater scalability and performance from the Atlassian experts who led the Jira Software 8.0 platform release. Plus, you'll get a sneak peek into what's coming in the 8.x series. In Jira Software 8.0, you'll see noticeably faster performance that will help your teams work together, faster, with fewer roadblocks. By harnessing a speedy new engine built for enterprise scale and other key improvements, you and your teams will be able to drive work forward and communicate priorities and notifications effectively. Administering Jira will also be more straightforward in 8.0, with a smaller and faster index that makes Jira easier to maintain and scale. In this webinar, the Atlassian team will show you how your team will benefit from faster-loading boards and backlogs and speedier searches. We'll also have plenty of time for questions, so come prepared to ask the team! 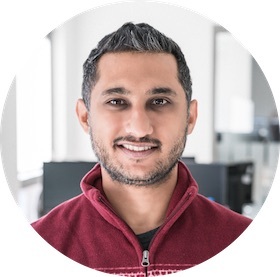 Syed is Atlassian's Lead Product Manager for Jira Software Data Center, most recently managing the Jira Software 8.0 platform release. With 17 years of experience in the industry, Syed has worked with several products ranging from early stage, skunkworks products to massive, mature products in the areas of cybersecurity, DevOps, and agile project management. SG moved to Gdansk, Poland to work for Atlassian over 2 years ago, and in his spare time you can find him playing the piano. Michal has been with Atlassian for nearly 6 years and works today as a Development and Quality Engineering Manager in our Gdansk, Poland office. He started his career as a tester, then fell in love with Atlassian's Quality Assistance approach. Michal recently started managing development teams in Quality Engineering responsible for improving quality processes for Atlassian Server products. 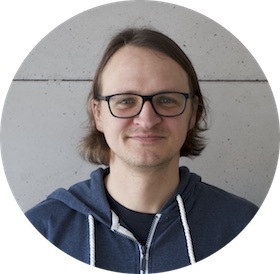 Over the past 6 months, Michal has been the Engineering lead for the Jira Software 8.0 platform release, helping shape the key technical and quality decisions for the release. A career in quality was his destiny as his surname can easily be pronounced as QA-yow-itch.